ThinkGeek has started taking orders for a Zelda Breath of the Wild Sleep Set, perfect for gaming or sleeping. 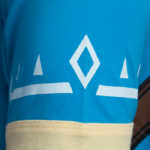 The exclusive sleep set includes a ringer tee with Link’s blue tunic on the front, and a pair of sleep shorts with a Legend of Zelda logo design. Buy yours here (ships within the US). For us, Breath of the Wild was an instant classic. Riding around the various landscapes of Hyrule on your trusty steed while you uncover every shrine and Korok the game has to offer. And, oh boy, does it offer a lot. So much, in fact, that we think instead of rescuing the princess right away, we’re going to explore this one last shrine and then take a little nap. 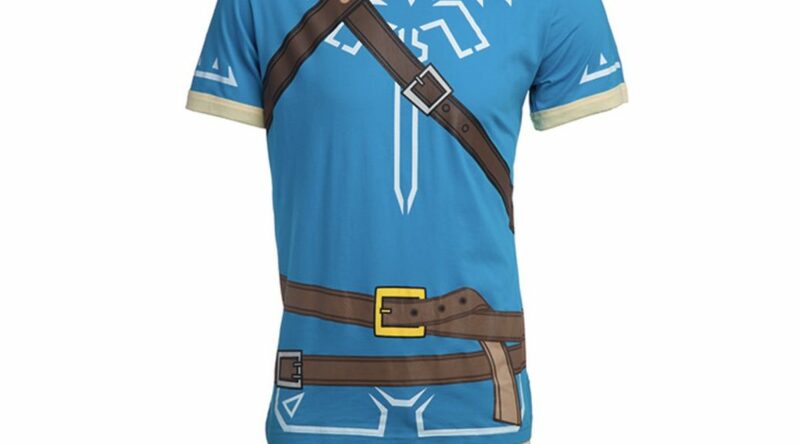 Nap BotW-style in this Zelda Breath of the Wild Sleep Set, a ThinkGeek exclusive. 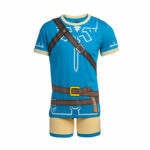 This super-comfy pair consists of a ringer tee in a blue BotW Link costume design and a pair of matching sleep shorts. Perfect for gaming or sleeping.